Bike sharing has grown as a business — not only here in Hawai‘i, but also in many cities around the world. But one of the largest bike sharing companies in the world is facing new problems this week in Asia. It seemed like such a good idea when it started. A massive bike share program — founded by several members of the Peking University cycling club some five years ago. The basic plan was to offer dockless rental bikes that could be unlocked by way of an app. The start-up was named Ofo, and it attracted all kinds of financing from some of China’s leading technology names — from e-commerce giant Alibaba to mobile phone maker Xiaomi. A couple of years ago, the company’s bright yellow bikes were in 250 cities in 20 countries. But the business model faltered – critics say many cities have been flooded with bikes. Several other bike sharing companies have linked with companies offering app-based scooters and even car rides. Ofo has already shut down operations in Australia, Austria, Germany, and a number of cities in the United States — from St. Louis to College Station, Texas. Last month it announced it was pulling out of London. This week, Singapore’s government announced the bike share company needs to leave — and get about 25,000 of its bikes off the city’s streets in less than a month. 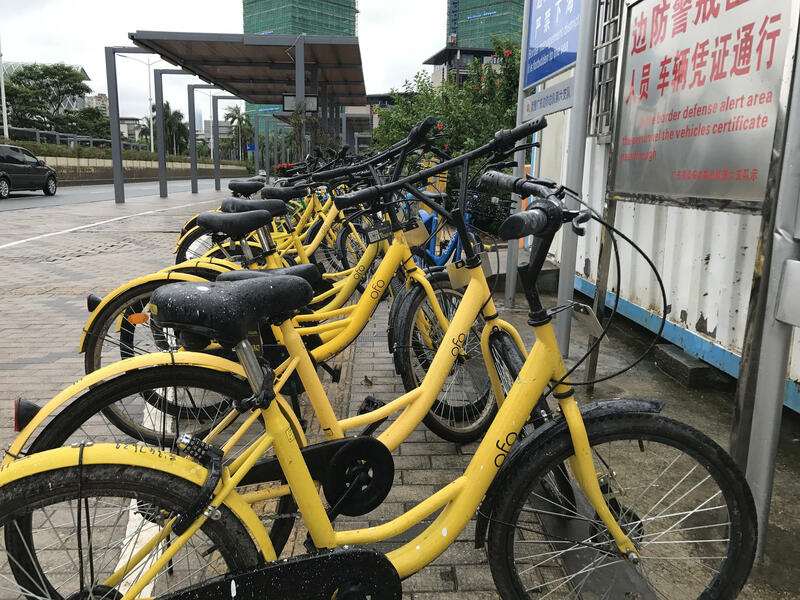 A number of media reports in China, Singapore and elsewhere suggest that Ofo may be on the verge of declaring bankruptcy. Visitor spending in Hawai‘i increased nearly 7-percent last year. It grew even faster in China, but that was the slowest growth in a decade. And when it comes to Chinese headed overseas, the figures tell a different story. A long-running urban train project is about to mark a major milestone. Not that one . . . this has nothing to do with Honolulu’s rail project. But it does involve political maneuvering and inflated expectations. There’s a trans-Pacific trade controversy that’s been building for years between the United States and one of its leading trade partners. This one has nothing to do with China, but it does affect a major American company — and shows that international trade rules don’t always keep up with market conditions.